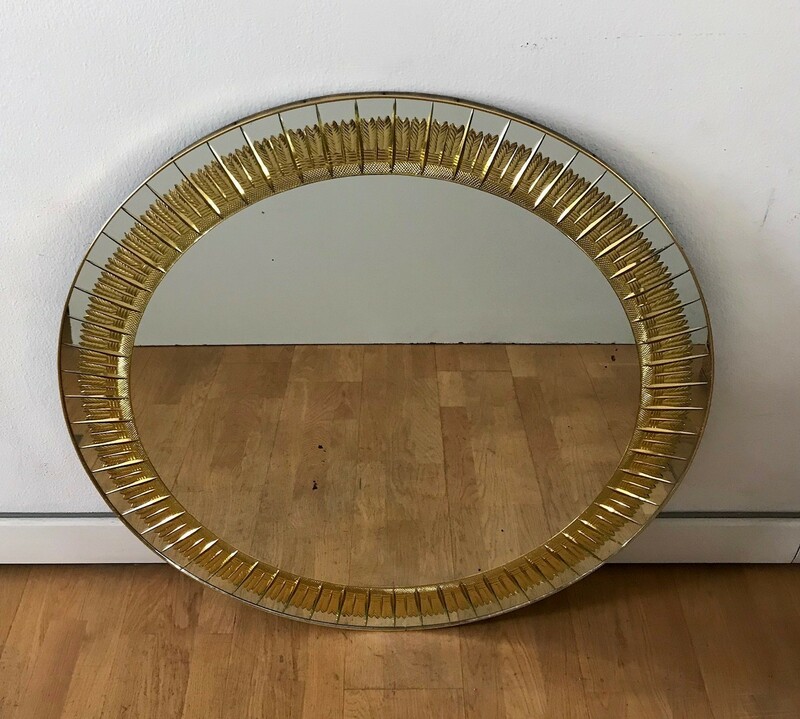 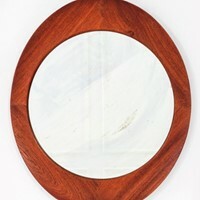 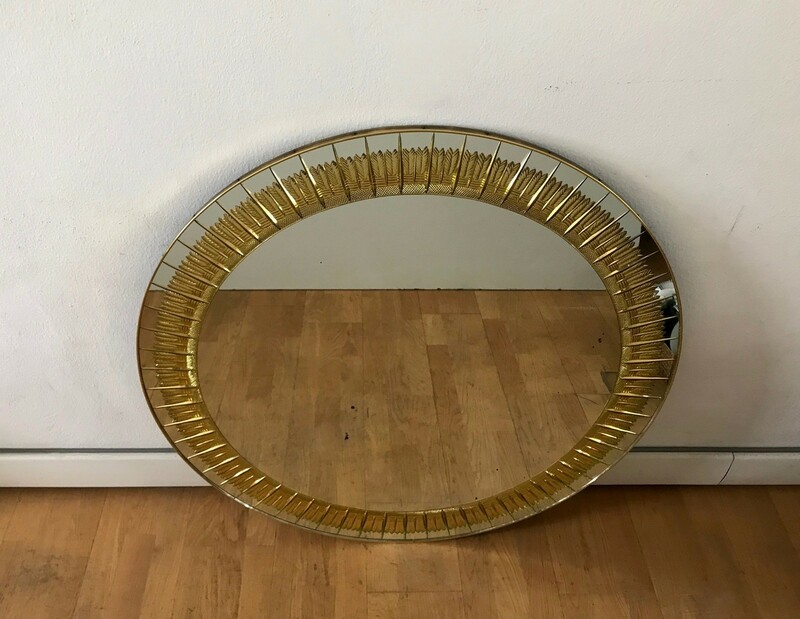 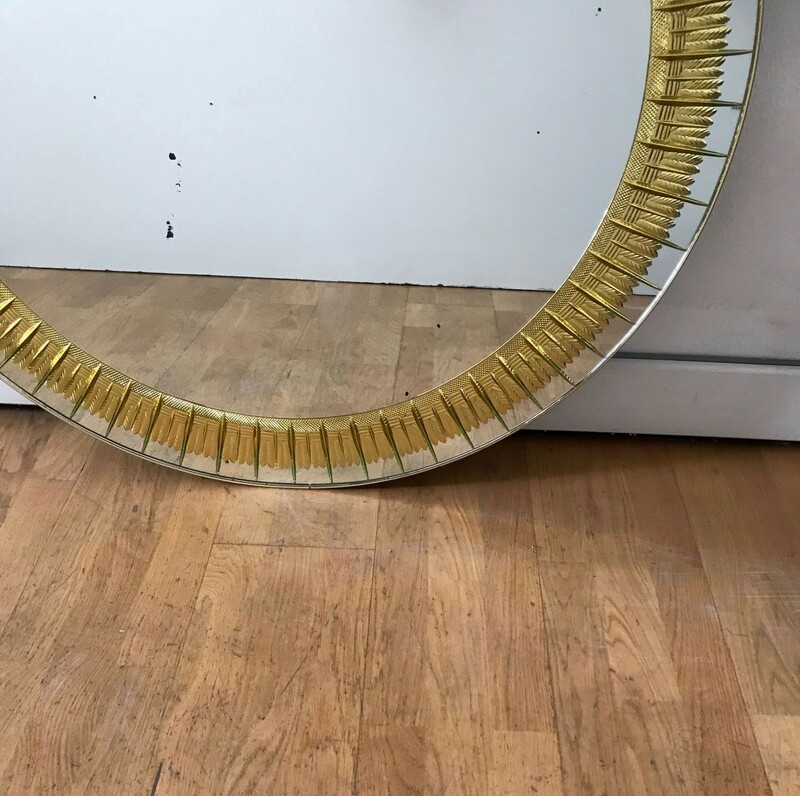 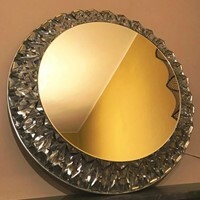 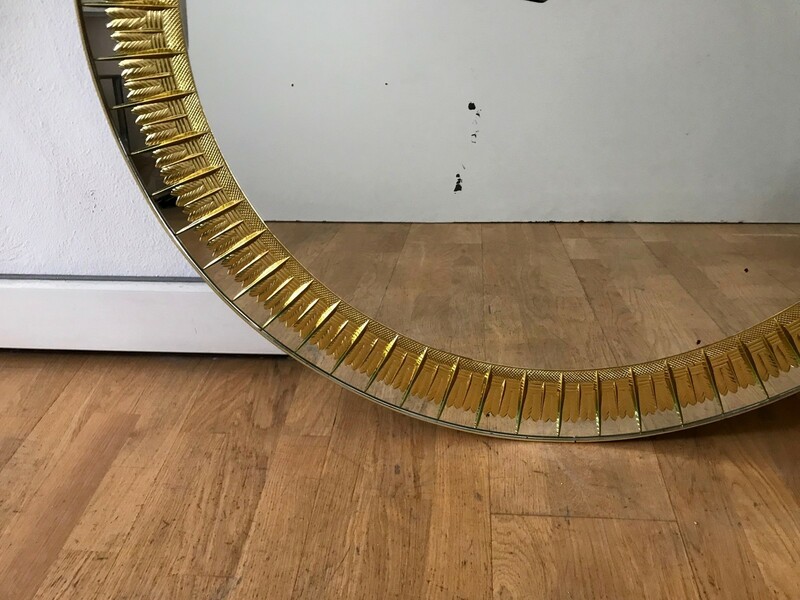 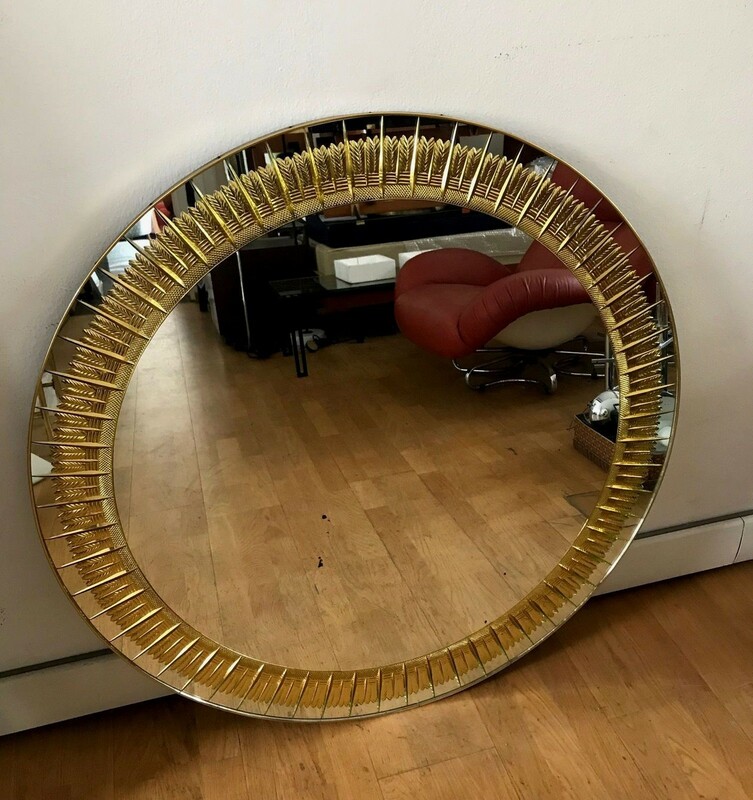 Refined large late 1950s round mirror by Cristal Art Torino. 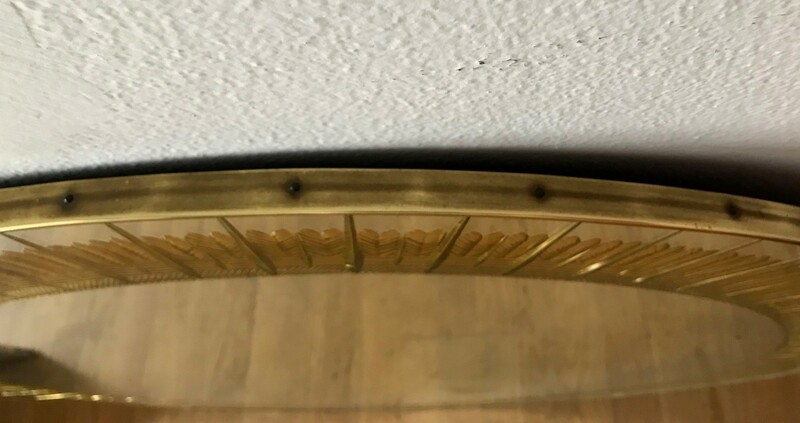 Brass frame and sand blasted decorations with gold leaves. 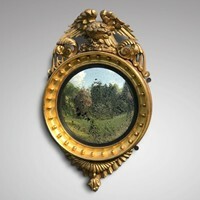 Very good vintage conditions, wear consistent to age.